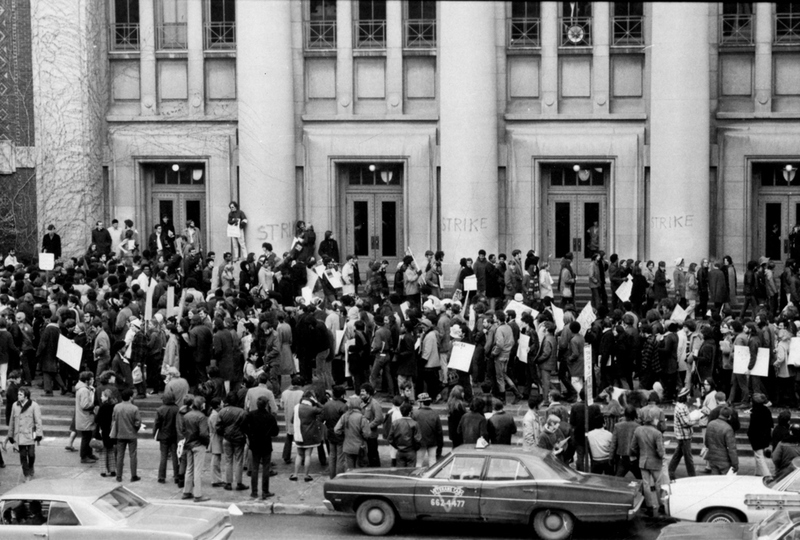 On April 9, 1968, the day of Martin Luther King, Jr.’s burial in Atlanta, the newly formed Black Student Union took over the Administration Building (now the LSA Building) and chained themselves inside for five hours, demanding more funding for African American students and African American faculty hires. After a long talk with President Robben Fleming, the lockout ended. They joined a trend at colleges nationwide demanding the addition of black studies to universities' curricula. One outcome was the establishment of the Center for Afroamerican and African Studies in 1970. When requests for increased black enrollment faculty hires were not granted by 1970, students called for a campus-wide strike. BAM (a coalition of the Black Student Union; Black Law Students Association; Association of Black Social Work Students; and black students from the Medical School and Department of Psychology) organized a 12-day campus shutdown. It received national attention and media coverage. Over 300 professors cancelled classes and many departments shut down. 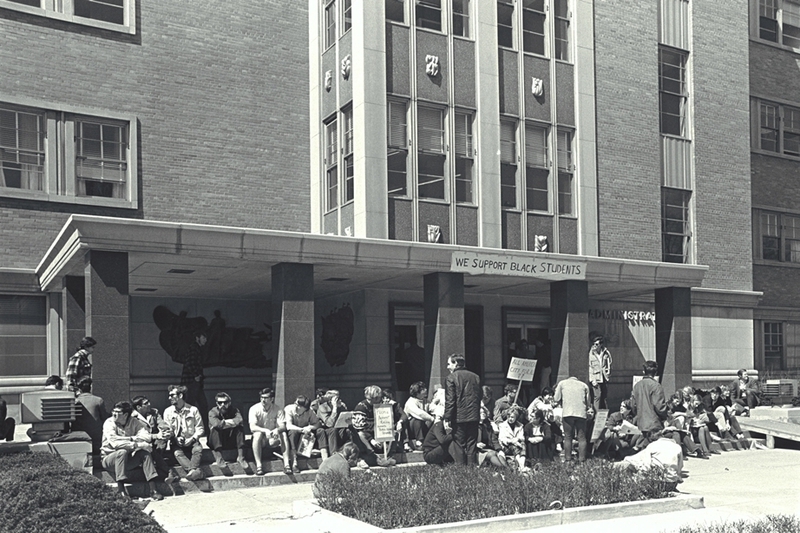 The strike was widely supported by non-BAM members, including white students. The U-M reached an agreement with BAM and issued a formal response to BAM's list of demands. Then-President Robben Fleming agreed to work toward a goal of 10% African American enrollment by 1973. The University did not reach this goal. 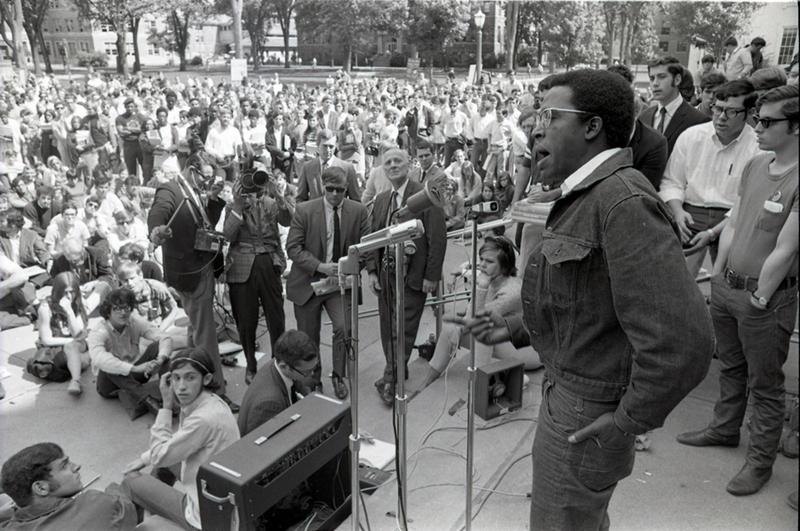 In the late seventies, BAM II continued the efforts to increase enrollment of Black students, and by 1987 BAM III and United Coalition Against Racism (UCAR) led protests that resulted in, among other milestones, the official recognition of the Rev. Martin Luther King, Jr. Day on campus. In 1987, more than 250 U-M students from the United Coalition Against Racism blocked the Fleming Building to protest a series of widely-publicized racist events on campus and to demand an increase in black enrollment and the number of black faculty members. Black student enrollment had declined by 1987 to 5.3% of the student body from the high of 7.7% in 1976 and never reached the 10% goal targeted by administrators in the early ‘70’s. Other demands included that the University close in recognition of MLK Day. 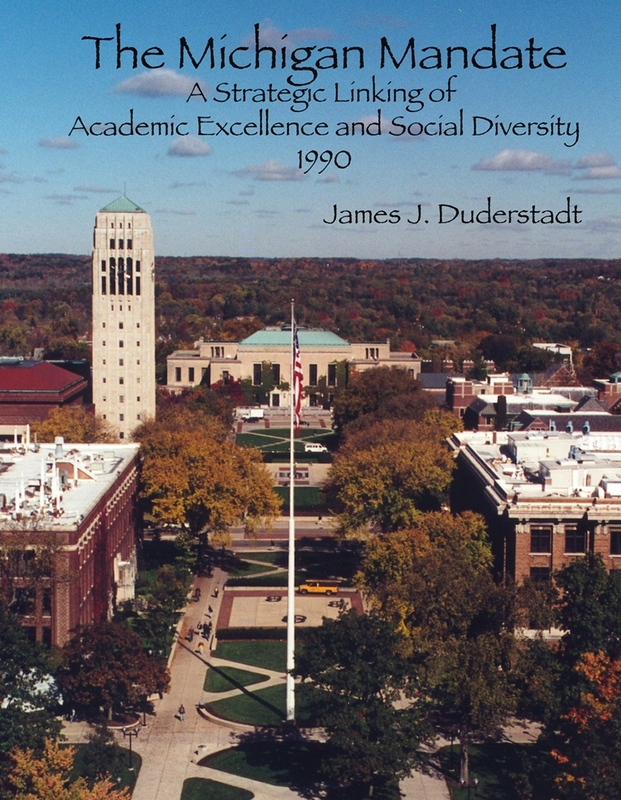 In the 1980's, under the leadership of President James J. Duderstadt, the U-M embarked on the Michigan Mandate, "a bold, strategic effort to transform the University to enable it to more faithfully reflect the rich racial and ethnic diversity of American society among its students, faculty and staff." The Target of Opportunity faculty recruitment program strove to substantially increase the number of faculty in under-represented minority groups; it succeeded in doubling the number of such faculty by the time Duderstadt stepped down in 1996. During this time, recruitment of students of color also doubled over-all, including a 10% increase in African American student enrollment. Numerous initiatives were aimed at helping minority students, faculty and staff succeed; increased financial support for minority graduate students led to a rise in student graduation rates. Efforts to increase African American enrollment to reflect the state's 14% Black population have been unsuccessful. In 2003, the United States Supreme Court found in favor of U-M’s use of race as one factor among many in considering student applicants. In 2006, however, Michigan’s Proposal 2 prohibited the use of race or gender in the applications process. Proposal 2 was upheld by the United States Supreme Court in June 2014. Founded in 1901, Michigamua was a not-so-secret society at U-M that tapped campus leaders for its membership. Famous past members included Gerald Ford, Bo Schembechler, and Harlan Hatcher. 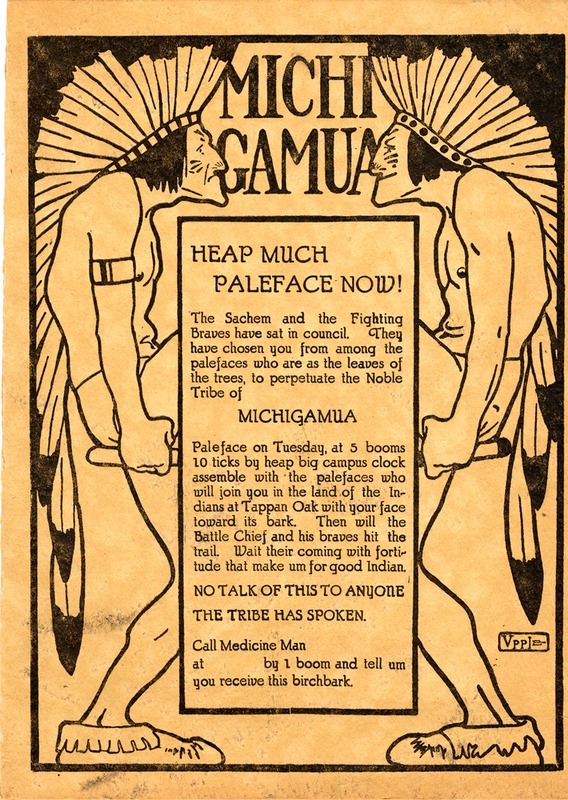 The group historically called itself the Tribe of Michigamua and its members were “braves” who referred to non-members as “palefaces.” Controversy swirled around the group from the 1980’s into the early 2000’s. 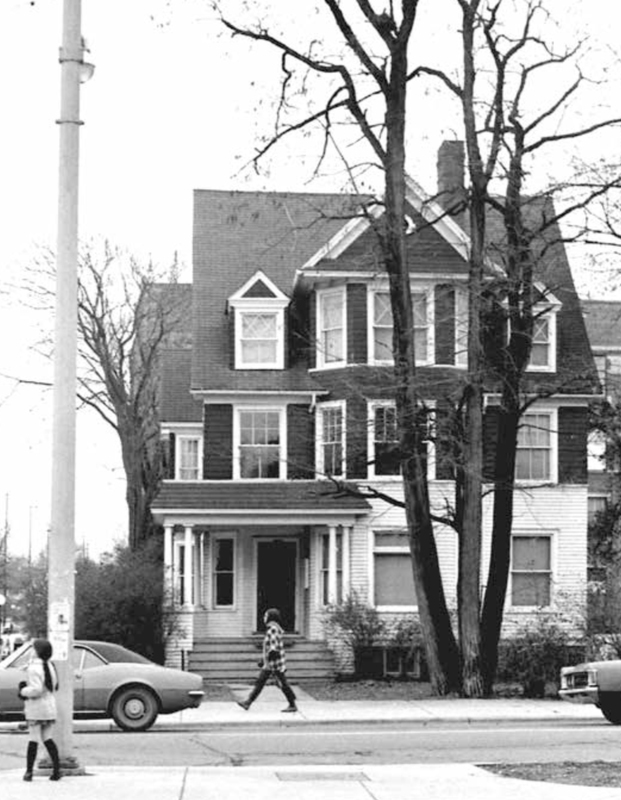 In 2000 the Students of Color Coalition occupied the Michigamua office space in the Michigan Union for 27 days, protesting their adoption of pseudo-Native American styles and names. Native American artifacts continued to decorate the meeting area of the organization, even though the University had instructed Michigamua to take them down in 1989. The group moved out of the Union in 2006, changed its name to the Order of Angell, after its founder, and promised to cease mimicking Native American traditions.